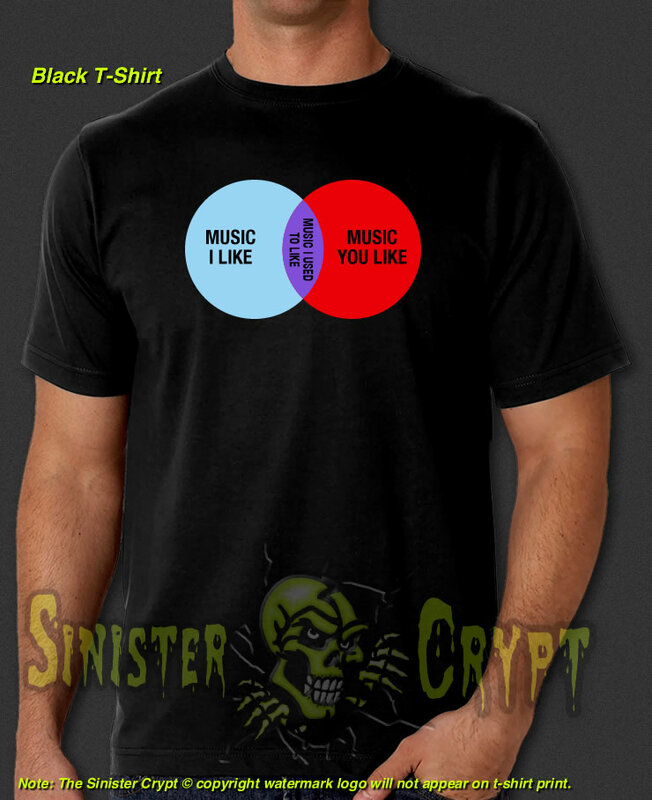 Music I Like t-shirt. 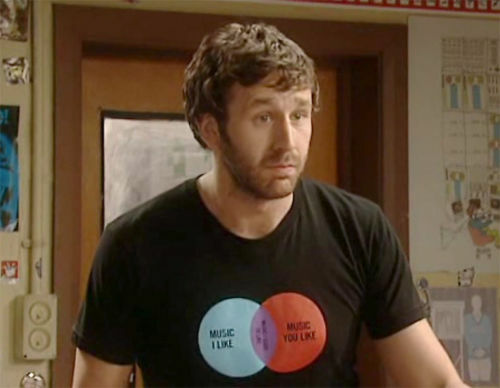 This t-shirt was featured in season 3 episode 1 of "The IT Crowd" where Roy is seen wearing this "Venn Diagram shirt." 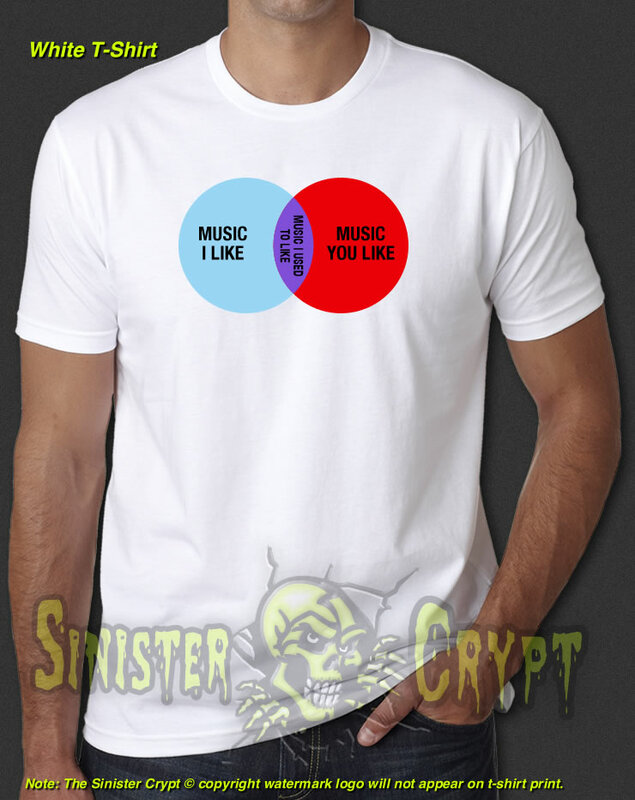 It reads "Music I Like" to "Music I Used To Like" to "Music You Like" from the left to right. Makes a great gift! • Professional high-quality DTG design printed in the USA using 100% cotton name brand t-shirts. • Order with confidence. If for some reason you're not satisfied with your purchase, please contact us with your issues and we will correct any order mistakes. We want you to be happy with your purchase. • All designs are handcrafted, one of a kind designs, printed to order.